Wii Sports, Guitar Hero 2, New Super Mario Bros. and The Legend of Zelda: Twilight Princess are among some of games that will complete 10 years in 2016. The year 2006 is remembered by fans as an important time for the gaming world as several most important video games released this year. And the time also marked the arrival of PlayStation 3 and Nintendo Wii, the main consoles of Sony and Nintendo. Following the fun music game from Activision, Guitar Hero 2 was instrumental in the great burst of popularity of 'rockstar simulator', which subsequently received dozens of new versions. With hits from bands like Guns n' Roses, Aerosmith, Foo Fighters and Iron Maiden, the title is considered today one of the best in the franchise. Distributed free with the Wii, the Nintendo sports game was responsible for showing the features of the Wii Remote, but also did much more than that. With fun and addictive minigames, Wii Sports has become a real hit, those able to brighten up celebrations, friends dating or simple casual sessions. Appealing to the nostalgia, New Super Mario Bros. arrived with all the Nintendo DS. With visual 2D and dozens of references to the first games of the franchise, the game quickly became a series, with versions for other platforms. 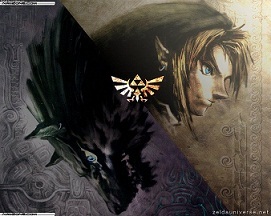 Launched in 2006 with versions for Game Cube and Nintendo Wii, the game franchise has leveraged the graphic quality of the Link universe, and exploits the full power of consoles. Although not surpass the acclaimed versions of Nintendo 64, the game got its special place in the hearts of fans of the series. First appearance of the shooter franchise Epic Games, Gears of War arrived as an exclusive for the Xbox 360. One of the first major titles of the console, the shooter had instant success with its precise and fun mechanics, in addition to the beautiful graphics and multiplayer modes for all tastes. Predecessor of Skyrim, Oblivion was also a big hit with fans of more complex RPGs. With huge map, hundreds of missions and virtually infinite combinations of items and equipment, it was hard not to be impressed with the play of Bethesda in 2006. Fast, frenetic and explosive, the racing game developed by Criterion met all the qualities that made Burnout a title so beloved by the players. Beautiful graphics, gameplay and soundtrack have also weighed positively, and certainly helped to conquer thousands of fans. Produced by Rockstar, Bully came with the weight to achieve the same level of quality of its older brother, GTA. As would be expected, the game that chronicled the troubles in a boarding school very pleased and became a kind of instant classic. Okami caught the attention of many with its gorgeous graphics, which referred the true watercolors. Much more than the stunning visuals, the game also has fun and interesting mechanics, able to put it among the best of its generation. Anticipated title of the Square Enix series, Final Fantasy XII arrived in October 2006 exclusively for the PlayStation 2, and made the joy of the fans who were waiting for a new game franchise. With good news and first graphics, the game was considered one of the best of that year.